DINKLES EDGE. 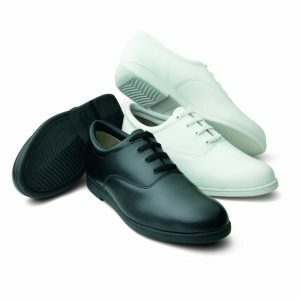 A contemporary athletic shoe appearance covers a dynamic marching shoe built for the rigors of marching band and drum corps seasons and delivers results that meet and exceed the performance of all major competitors. Medium width only. 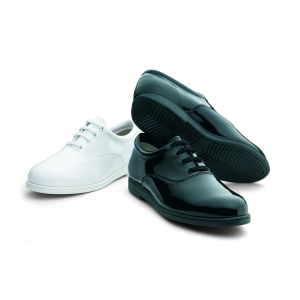 For a wider foot, order 1/2 size to a full size larger. 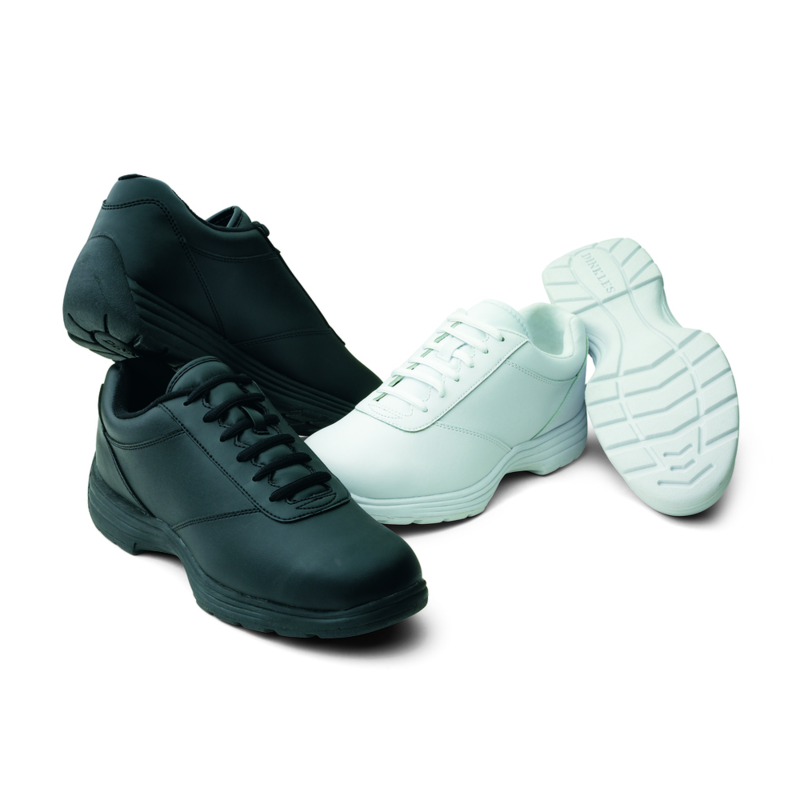 Dual Density Rubber Sole – one layer for high wear and great traction and one layer for shock resistant comfort. Triad heel design for corp-style marching. Full terry cloth and Tricot lining for great comfort and absorption. Full 1/4 inch of foam padding in the insole. Forepart Pad & Flex Zone gives extra flex and cushioning under the ball of the foot. Padded Tongue with Lace Tab – keeps the tongue where it belongs, one the top of the foot.